Before downloading MEmu, check its details. This is a definitive article for this Android emulator. All its features, download links and installation details are the below. So, keep reading this Memu Download guide. MEmu Android emulator is a Windows software or program. It allows you to install your favorite Android apps and games to your PC or Laptop and also for free. Yes, you can play clash of clans on a bigger screen on your Windows PC. Use whats app on your notebook and all your favorite apps on your lappie for free. You can download the MEmu installer to get started. 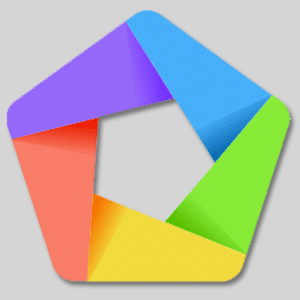 MEmu app player is an Android emulator from Microvirt. It can emulate Jellybean, KitKat, and Lollipop on your Windows PC. However, by default it comes with Jellybean for others you can change it yourself by downloading additional packages for it. You can also change the device name also on setting screen. If you had previously used Bluestacks, Andy, KOplayer or YouWave you must find MEmu almost similar and well ahead in features in comparison to them. It gives regular and updated Android OS while others are still running with older versions of Android. It can compete with many flagship smartphones. So, for all these features, your first choice for Android app player should be Memu for PC. This emulator has a great feature i.e. key mapping. It allows gamers to map keys according to the games they are playing like for shooting games there is a crosshair setting and fire position, for MMORPG games attack position, you can also set gravity accelerometer, GPS movement, direction control with AWSD keys. After putting your key mapping, you can save it, and after that, you can use it whenever you play the game. 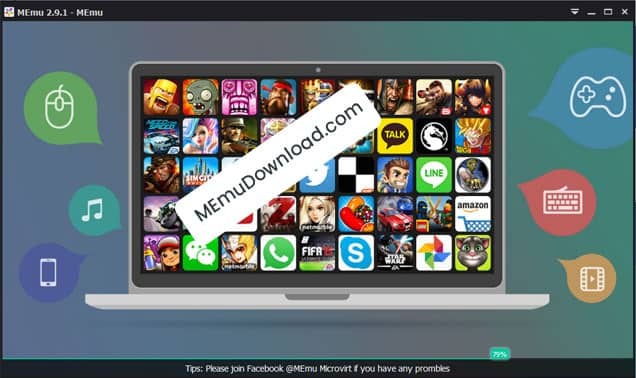 Micovirt optimized MEmu app player especially for gaming in such a way that it can take your Android gaming to a whole new level with the MEmu emulator. Beta (Test Version) MEmu 7.1 Nougat is live – Download Offline Installer. How to do MEmu Download and Installation for Free? STEP #1: To download MEmu app player first you need to click on the above “Download MEmu” button. Then, on next page, again click on black download link. STEP #2: Now it will open a pop up showing to download the .exe file, click on save file. After that, it will start downloading the MEmu installer application. If you are facing issues in downloading, you can try using a download from Google Mirror. STEP #3: After download starts wait for download finish. The application size is around 330MB. So it will take a while if you are on a slow internet connection. STEP #4: After the download finishes, you can click on the .exe file to run the installer, go through the installation process. It will need some time to complete the installation. STEP #5: After following all the on-screen instructions for installation process it will install the MEmu app player to your PC. It will create 2 shortcuts one for MEmu app player. One is default or first emulator, and other is Multi MEmu for creating new emulators. You can check our how to root memu emulator guide for rooting. Now you are all set to use MEmu app player of 2019. The process of installing apps and games in MEmu app player is easy. Either you can download all your favorite games and apps from the Google play store, or if you have the APK file for the app, you can simply install it by double-clicking on it to your first or default emulator. For cloned or other emulators you can install APK files offline. Click on app menu on the right-hand side and browse the app inside the folder in which its present. You need to enable Virtualisation for 10x better performance. You can visit How to Enable Hardware Virtualization by MicroVirt to enable virtualization in BIOS on your PC. Note: It’s not recommended to use or install MEmu App Player in another virtual machine. The reason is it may not support OpenGL 2.0. In general, nested virtualization will lack in performance. We all know that almost everyone loves to install and use Android apps on their smart devices. Android comes with a very user-friendly interface which is super easy to understand and operate. All of us can enjoy a vast range of Android apps available on Google Play store on different categories. The examples are Gaming, Learning, Entertainment, Technology and many more types. Some of the most downloaded apps in play store include Whatsapp, Facebook. More apps like Instagram, Snapchat and many more which almost everyone uses in their day to day life. Coming to gaming category many of us play some of your favorite games like clash of clans, candy crush saga, Angry Birds, Temple Run and much more on our Android devices. Because these games available on play store and are easy to operate as Android OS is most user-friendly OS available till now. For this reason, people are addicted to these Android games and apps. Apart from these points, the main feature of these Android games is most of them are free to play. Have you ever wondered to use these Android apps and your favorite Android games using on your Windows 10 or Windows 8 laptop or PC? You can imagine like using WhatsApp on your Windows laptop. Play all of your favorite games like clash of clans, temple run, castle clash. A few MMORPG games like legacy of discord: furious wings and much more on your Windows 10/8 PC with an emulator. Isn’t it great? You can use these apps and games on your larger screen PC or laptops rather than your small screen smartphone. Experience better quality graphics compare to your smartphones. After knowing all the things, you must be super excited to know how to try out. How to run these apps and games on the bigger screen of your PC? Right? Check above of this article. 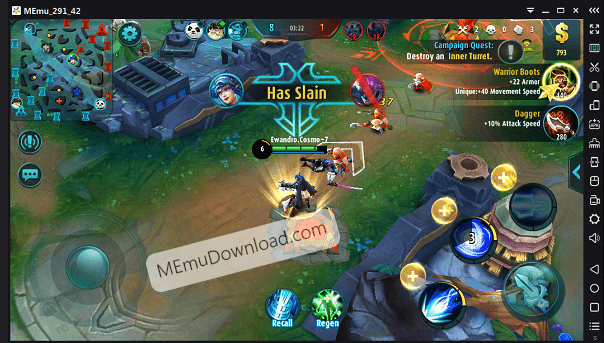 I have a guide for you on how to install these app and games on your PC using MEmu Android Emulator (app player). So, first, I let you know what this MEmu app player is capable of. Then, you can use the steps provided above to download MEmu app player. Also, the steps to install Memu on your Windows 10 or 8 PC and laptop are above. So, check now. Here are some of best games and to try on MEmu. Get these APK files and install to enjoy. Play all your favorite Android games on your PC with a bigger screen with a superb experience and stunning graphics. Support for Multiple Android kernels like Android Jellybean/KitKat/Lollipop spontaneously. Highest performance with 2 x benchmark score comparing with latest Android flagship phones. Full of compatibility with various hardware configurations like AMD and Intel, Nvidia. It is also compatible with most of the in-demand games available in the market. Multiple instances of your current emulator with just a single click. Experience Android gaming at a whole new level with your keyboard, mouse, and joystick. Enjoy on a much bigger screen with personalized key mapping. You can use MEmu app player’s Multi MEmu feature to clone your current emulator or can create whole new emulator on different Android versions. Using this multi MEmu, you can play the same game at the same time with different accounts. Like if you got 3 Clash of Clans accounts you can create 3 different emulators for each of them and can play at the same time with all your COC accounts. 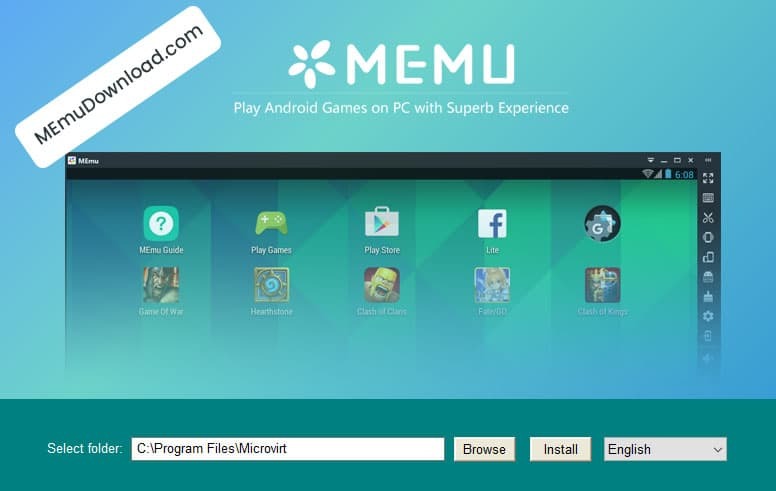 So, enjoy downloading MEmu on Windows PC or Laptop. Experience everyone’s favorite Android features on PC.